The 161st episode of AQUAMAN AND FIRESTORM: THE FIRE AND WATER PODCAST is now available for your listening pleasure! A proud member of the FIRE AND WATER PODCAST NETWORK! It’s a big month for our heroes! Shag and Rob discuss “Dead Water” from the extra-length Aquaman #50 by Dan Abnett, Brett Booth, Norm Rapmund, and more. 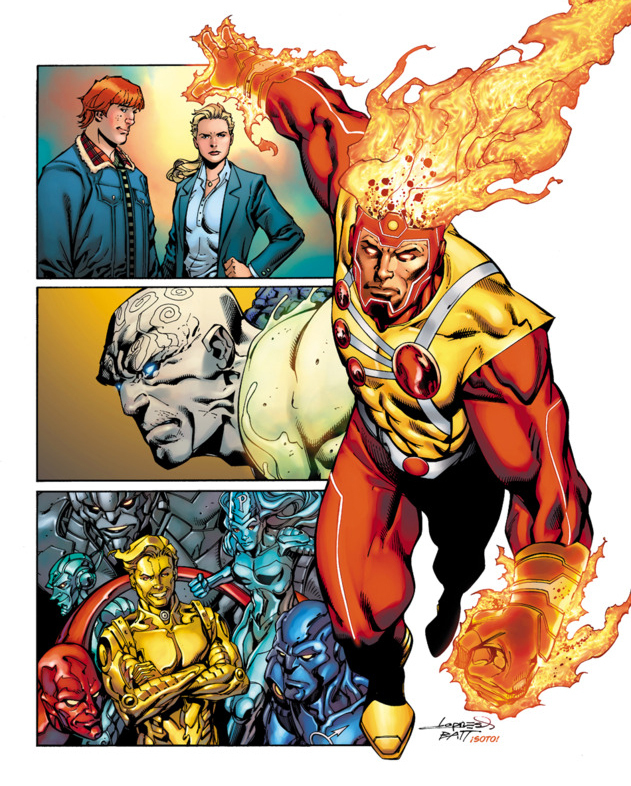 That’s followed by “United We Fall” from Legends of Tomorrow #1 by Gerry Conway, Eduardo Pansica, Rob Hunter, and more–the first Firestorm comic by Gerry Conway in thirty years! Plus YOUR Listener Feedback! Posted in: Comic books, Firestorm #10: New 52 v2 (Ronnie/Jason), Gerry Conway, Jason Rusch, Legends of Tomorrow, Podcast, Professor Martin Stein, Ronnie Raymond.